Job interviews look alike. There is the introduction, the questioning, the negotiations. There are the behavioral questions, the technical questions, the compatibility questions. But every company, because of their philosophy, purpose and company values have different styles in leading their conversations. The aim of this article is to introduce you to the interviewing style of several leading companies in technology, healthcare, cosmetics, and others. Read this article till the end in order to discover what are the weirdest questions interviewers from those companies have asked job candidates. Those are real questions reported from actual interviewees after their meetings with recruiters from those establishments. 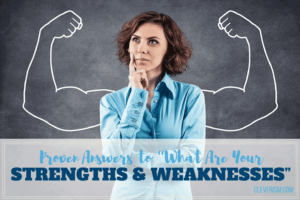 While you may never be asked those exact questions, you will get to uncover some of the reasons behind the strangest questions you may be faced with. We hope that through our little analysis, you’ll feel more prepared when the recruiters surprise you on your next job interview. Alphabet hires engineers. You will always make a positive impression on your recruiters if you give a response based on knowledge of civil engineering. The reason why manholes are round is twofold. For one, there is no way a round manhole will fall into the whole. In contrast, if you turn a square manhole up and turn it so that it stands above the opening diagonally, it can fold down. The second reason is that by making a detail round you are saving up on materials. You will use less concrete, steel, etc. Another reason might be to check on the creative thinking of the candidate. A part of programming is to think out-of-the-box. Google’s workers must be capable of reverse engineering, meaning they must be able to analyze why things work the way they work, understand the reason behind it, re-create the same process, and, ultimately, improve upon it. How should you answer? Well, with those sorts of questions, the worst thing you can do is, say that you don’t know. The recruiters will want to see your logic behind your thinking and your response. Saying that you don’t know the answer will not do you any favors. The interviewers will think that you were not as logical, as smart, as creative, as knowledgeable, or as original as they would want you to be. And even if you are all of those things, they will not have any good way to prove it. Whenever you face such a question the best strategy is always to try to think out loud. Let the recruiters follow your train of thought for a while. Try to think of a logical answer. The actual end response doesn’t matter that much. ‘How would you find out the number of cars passing through a busy bridge? It is one of the technical questions. The company wants to check your skills in Math and your technical knowledge, as well as your ability to be observant. The speed of the vehicles. Bridges normally allow higher speed, but it if is busy, they will probably go at an average speed of about 50 km/h. For easier calculations, let’s go 54 km/h, which is 15 m/s. The length of bridge – we need it in meters. Let’s make it 900m. Let’s say the space between the cars is 1,5m, and the length of the vehicles is 3,5m average. Our imaginary bridge will have 6 lanes – 3 in each direction. Time equals distance, divided by speed, which means the amount of time it will take 1 car to pass the bridge is 900/15 = 60 seconds. For the amount of time one car crosses the bridge from one end to the other, all cars that were on the bridge before it must have passed as well. So you need to just calculate how many cars fit that space. Divide the length of the bridge by the length of one vehicle plus the length of the space between it and the next one. You are dividing 900 by 5. That means 180 cars will pass for 60 seconds. That is, for 1 lane. For all 6 lanes, 1080 cars will have passed for 1 minute. Can you define empathy for me? Why do they ask you that question? Your interviewers know very well the definition of empathy. What they want to hear from you is your actual attitudes towards empathy. Continuing with several examples. What acts of empathy made an impression on your mind when you are young? Connect that to your everyday work. How do you use empathy when you interact with your teammates, your customers, and even your supervisors? Finish by saying that you know why they ask you this question. Say that you know empathy is important in what you hope to be your future job and how you plan to persevere being empathetic even under pressure. Why do they ask you that question? The question in this case was asked of a job candidate for the position of a photographer. That particular job candidate warns those coming after him – he thinks in this particular case Amazon was looking for cheap workers to photograph items for sale on a white background. He says it is not a job for real photographers. You should be aware why this question could be asked of you. The issue with the job was not a coincidence. Answer high on the scale if you are being recruited for a creative position. Answer low on the scale if you’re being recruited for a highly irrational, analytical position. In this case the chances are high that the recruiters at Amazon knew that it is not a true photographers position, and we’re trying to sift through the truly creative professionals from the workers they actually needed – the ones who would be satisfied with the 9-to-5 with steady pay, and just anything to do with photography. You should be particularly cautious because whenever we are asked to assess ourselves on the scale from 1 to 10 we are tempted to assess higher, regardless if that would put this in a positive or negative light. The question was asked to software engineering director. If you read the entire testimony you will know the interview didn’t go too well. He explains everybody seemed to be stressed out and too busy. They didn’t have much time for his interview. We are sure it is very exciting to work for Tesla but that is a sign of a bad working environment, normally. This job candidate explains the interviewer actually warned him Elon Musk was known to fire people just after one bad conversation. The reason why you should be careful of such questions is twofold. First, that probably means the recruiter didn’t have the time to prepare for your interview. Second they could suspect you half manipulated your CV and you have embellished your work experience. Even though this job candidate is not happy with his experience, he says every worker might get to test drive a Tesla every once in a while… So you might still be interested to work for the company. At Tesla they focus on very short, very pragmatic questions. Be careful. That means they are not ready to splurge their time on you unless you are worthy of hiring. If recruiter asks you only very short questions this is a red flag. Cut the bull. And come prepared. They have a very easy way to evaluate whether you will be a good employee for them. Tell me about a time you dealt with a difficult situation. How do you go about escalating issues? Tell me about a time when you were successful. According to the testimonies of interviewees at Spotify, all questions are strictly technological. If you don’t have the right experience or the right resume, you won’t have much luck. Why do they ask you that question? Why Twitter and not a new Spotify? They want to surprise you. They want to check for your skills to analyze, reverse engineer, and improve up on existing tools, programs and apps. Prove you’re interested in the world of technology. Describe what you think of the current system. Describe how you saying the current design contributed to the success of the app. Explain why you think your ideas are an improvement over current website. Say what you think the greatest risks are from the changes that you’re planning to introduce. For the company idea go for something simple. Something that will never go out of style and something that is always needed. But at the same time try to stick with transportation. You need to stay relevant. A good example is delivering bread. The app. The app will connect local users to local bakeries. The bread app will work on a subscription basis in order to ensure regular income. KPI. For your key performance indicators it’s always advisory to mention the SMART method. They will be specific, measurable, attainable, relevant, and time-bound. You will have two types of KPI. The first one will be for the bakeries and the other one will be for drivers. You will base expectations on statistics and research. You will factor in the bread consumption in the region, the amount of bakeries who use your app and the amount of bakeries who do not use your app. You will factor in seasonal changes of traffic. And you will always, always respect the local differences. For customer service issues you will mostly deal with delays or bad product. Tell the recruiters for you it will be most important to assess the behavior of the customer and the behavior of the driver and the products of the bakeries equally well. To keep a balance. To make everyone happy. For marketing ideas go for a Guerrilla marketing campaign. It will give you the best effect for the lowest budget. For company structure come up with something flat. You need limited management – mostly marketing programmers and drivers. The Fibonacci numbers are following the Fibonacci sequence. Each number is created by summing up the two preceding numbers. Careful! When if you are being asked what is the 6th or the 7th or any consequent number in the order, always ask the specifying question whether the sequence should start with a 0 or a 1. The classic starts from the number one. The modern one starts with 0. (0), 1, 1, 2, 3, 5, 8, 13, 21, 34, 55, 89, 144, 233, 377, 610, 987, 1597, 2584, 4181. Entropy is the thermodynamic quantity representing the unavailability of a system’s thermal energy for conversion into mechanical work. It is often used to describe how disorderly or random the system is. IBM ask you this question to check your technical knowledge, your engineering skills, your design skills, and also your values. Entropy is a commonly used metaphor among scientists of the law of the universe to destroy that which lacks maintenance – that which lacks intelligent design. They are essentially asking your opinion on sustainable development. According to Psychology Today the color you choose does say something about you. Black says you are sensitive and careful. White says you are organized and logical. Red says you are tenacious and determined. Blue says you love harmony and are reliable. Yellow says you enjoy learning and sharing. It is the color of happiness. Purple says you are artistic and unique. Brown says you are friend and loyal. Is this a weird question? It is a perfectly normal question to ask of a salesperson. But the question was asked to an engineer?! The responsibility to sell lies most heavily on Sales and Engineering. And while the salesperson merely has to convince the customer this product encompasses features that will improve the customers life, the engineer is responsible to create those features. Why should Nike go direct to consumer through its own retail stores? What is so weird about this question? Well, shouldn’t the store know better about their decisions and then the future employees? Not necessarily. Why do they ask you that question? The brand needs to be convinced that all of their employees understand and stand behind their decisions. For example, by going directly to the consumer, the messages of Nike, will reach the public in their pure form. That is a value that their employees must share. Well, every Harry Potter fan knows that you need the Philosophers Stone to turn anything into gold, and to create the elixir of life. To make yourself immortal. The recruiters at Twitter maybe testing your general knowledge of popular culture, or your knowledge of alchemy. In anyway, this is not a question on which you can cheat. The question was asked to an engineer that it was a job applicant at General Motors back in October 2014. You will recall that back in February is the same year the company had to recall more than 800,000 vehicles because of a faulty ignition which cook shut off doing driving and prevent the airbags from opening doing an accident. Part of the aftermath for the company involved General Motors paying the Department of Transportation $35 million for delaying that recall. Is then the recruiter at General Motors have reportedly adopted a new value system and want to make sure that all of their new employees follow the same values. When you answer such questions make sure that you’ll reassure the recruiters that you are fully aware of the company’s history, that you feel for the tough decisions the management had to take, and that you will do everything in your power to not allow such unfortunate events to happen in the future. This question was asked in an Assistant Marketing Manager Interview. Sephora is a makeup store that operates internationally. In order to keep such an establishment up and the running and be successful, you need to observe strict rules. Describe your idea – what inspires you the most. What sort of business would you run? What do you need in order to make it right from the start? Describe how your organization Will be helpful to society. Describe between two and five rules that’s you will instill in your employees as the most important thing. Describe how your future employer embodies most of the features of your dream business–always bring it back to the company. Is this a weird question? Yes. Well it wouldn’t be so weird if it wasn’t asked of a job candidate for an analyst. They ask you that question because the product seems to be insignificant. In your answer you need to make sure you tell your future employer that you understand how the sale of a small object can contributes to generating big data that will later own become an essential for the organization. You will retain the date of the sale, the personal information of the customer, any special circumstances around the sale – holidays weekends, promotions ad campaigns, that were running at the time. And then you will describe to your recruiter why you believe this information Will bring up more sales, Will improve the relationship with your customers, and will, ultimately, make them money. Which lush product describes you? It seems more of a question that Buzzfeed will include in one of their quizzes, rather than a question you would expect to be asked on an interview for a job at a cosmetics company. Sometimes recruiters want to surprise you. They want to know more about your personality. The only way to get your truthful response is to get you out of your comfort zone. They know that the best job candidates come prepared. That is why they want to challenge you to think out-of-the-box – they want to follow your thinking process instead of seeing only the result of you memorizing successful interviewing techniques. Trust your interviewers. Always answer to the best of your abilities. Whenever you’re faced with the choice between impressing them by being fake or showing your true self, always go for the latter, because of this is the only way they will evaluate if you are a good fit for the company. If they ask you a mathematical question be ready to do some calculations. If they ask you of popular culture questions be ready to show your knowledge. If they ask you a technical question be ready to work on with your mind. While it is tempting to try to analyze the question, most times it will not do you any good. Don’t try to play any games. The best interviewees believe they and the recruiters are on the same side.